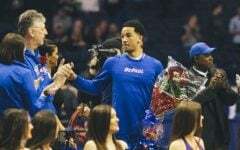 Billy Garrett Jr.’s final regular season game with DePaul and DePaul’s final regular season game at Allstate Arena began with allusions to how far the program has come and ended with a reminder of how far they still need to go as they fell 79-65 to Xavier on Saturday afternoon. 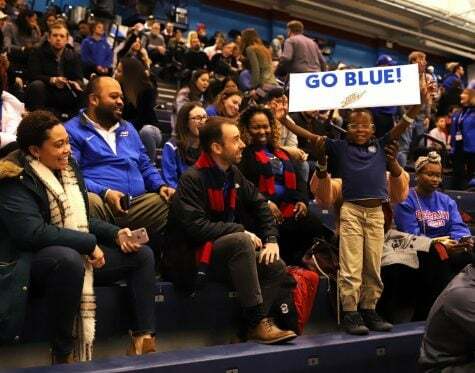 The Blue Demons (9-23, 2-16 Big East) opened the game with a nine-point run, holding Xavier (19-12, 9-9 Big East) scoreless through the first five minutes. Eli Cain provided most of the production in the opening minutes, forcing turnovers and scoring both in the key and from behind the arch. Billy Garrett Jr. found his first points of the game within the first eight minutes, dancing through the key for the bucket and a foul. DePaul’s all-time leading free throw had no trouble completing the three-point-play. 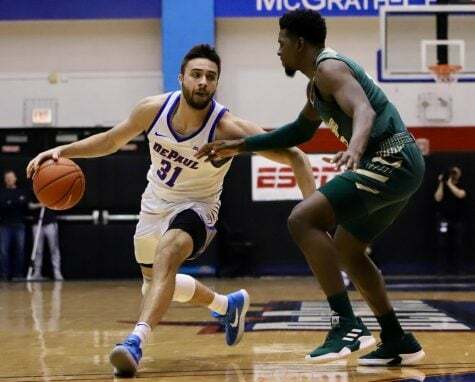 As the mid-point of the first half passed by, DePaul’s play was growing sloppy with double-dribble and traveling violations keeping the ball in Xavier’s hands. At the 6:45 mark, Quentin Goodin dropped a three-pointer to give Xavier their first lead of the game. 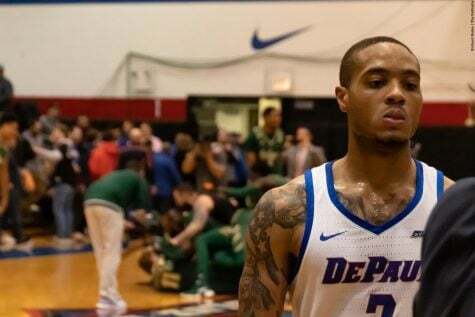 DePaul found redemption with 4:04 to play, retaking the lead on a three-point dagger from Chris Harrison-Docks, but Xavier responded quickly, winning the final four minutes to enter the half leading 33-30. Through the first 20 minutes, both teams were south of 40 percent from the floor, and the rebound margin was small. 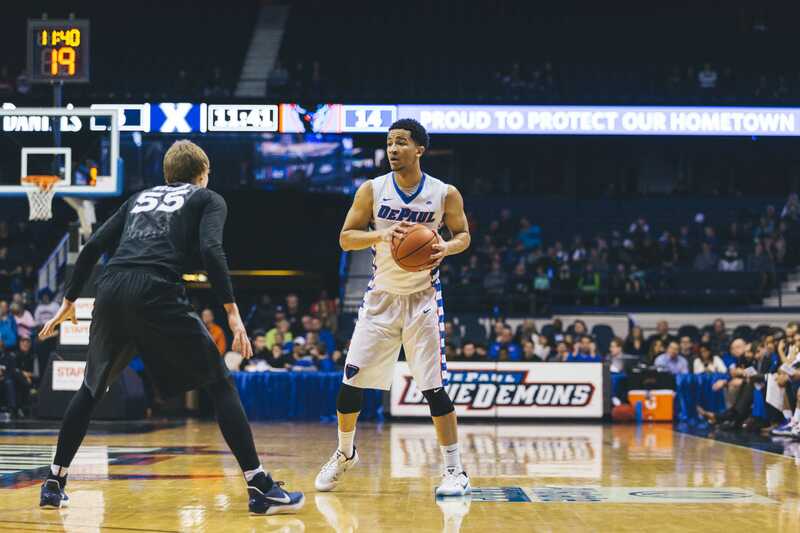 Xavier found their edge in the turnover margin, taking advantage of a lack of discipline from the Blue Demons. “We need to do a better job of attacking their zone,” Garrett said. The second half scoring opened with Billy Garrett Jr.’s second three-point-play of the day to cancel the Blue Demon’s halftime deficit. 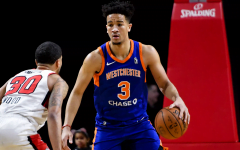 Two minutes later, the senior point guard hit a three-pointer to take the lead, but the momentum simply wasn’t mounting. 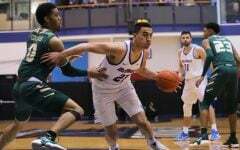 Xavier continued to expand their lead, but they failed to push the scoring margin beyond eight points until the game passed the two-minute mark. 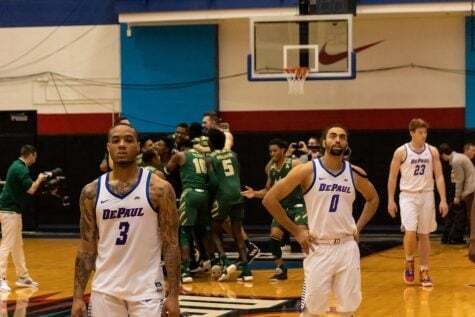 After that, DePaul’s hopes of winning their final game in Rosemont evaporated. 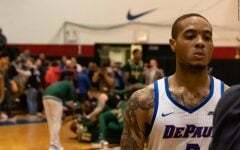 With 35 seconds to play, Billy Garrett Jr. walked off the floor at Allstate Arena for the final time to a standing ovation from DePaul fans. He ended is senior day with a team-high 17 points. 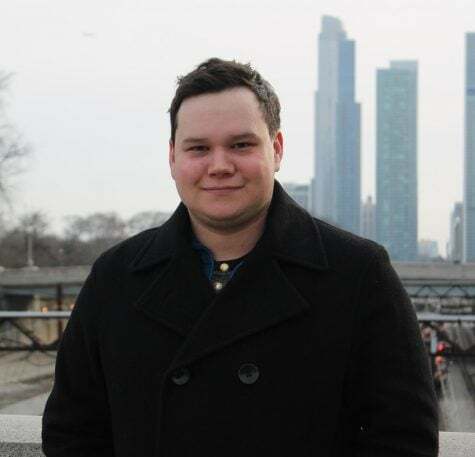 Chris Harrison-Docks, R.J. Currington, Peter Ryckbosch, and Derrick Wood were all honored alongside Garrett during the pregame senior day acknowledgments. Saturday’s loss marks the 526th and final home game and the 37th season at Allstate Arena. 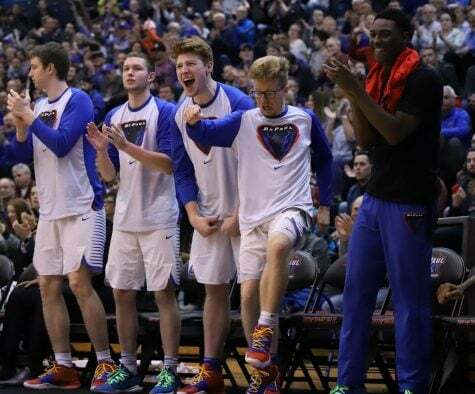 The Blue Demon’s will face Xavier again on Wednesday in the opening round of the Big East Tournament at Madison Square Garden.